A little over a year after the FAA opened up remote pilot testing, there is now almost 40,000 FAA Part 107 Certified remote pilots. 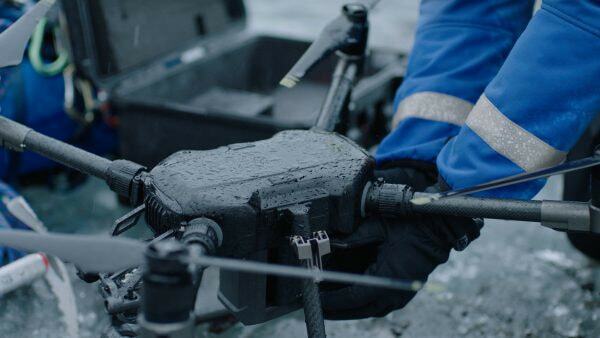 These pilots have built hundreds of businesses providing all types of services from aerial photography and video production to offshore oil rig inspections and everything inbetween. The level of complexity involved in the different steps of each type of service varies quite a bit, but, nonetheless, all require a specific skill set and knowledge base to perform at a professional level. All of these drone service can be broken down into three parts. First, there’s the data collection. This is everything that is required to get the imagery or sensor data for the service you are providing. This is all of your pre-flight preparation, the flight itself, sensor calibrations, and post flight procedures. Next, is the data processing. This can vary from as simple as copying image files over to your computer, to, full on 3D Model reconstruction. The complexity of processing varys greatly depending on the service provided. Simple aerial photos will be very quick and easy to process and deliver, while, survey grade 3D Models with cm accuracy will be much more complex and time consuming. Finally, the delivery. This is where you will take the data, package it in either the file format or package type the customer requires, and deliver it, either in person or electronically. As a drone service provider, you are always looking for new opportunity in new market segments. The first question you have to ask yourself when looking at a new service type or market segment is, do I know how to provide that service at a professional level? This may be a difficult question to answer at first, especially if you don’t know what you don’t know. To find out, you have a few options. First, you could just start providing services and “winging” it to see if you can do it well. This is what we call on the job training. This is great if you have a mentor to work alongside or someone to show you the ropes when it’s your first few times through, however, if you are planning to just try it without a mentor, it can damage your reputation and your brands reputation is you are providing substandard services and products. Many times, as I have seen, especially in the precision agriculture sector, it will completely turn a customer off to future services after they have a bad experience with an inexperienced drone service provider. This is obviously not what we want from potential customers or for our brand and company. The other option is to take a course or training on the new vertical you want to learn about and be able to provide the new service at a professional level. Assuming you don’t have a mentor close by to show you the ropes, the next challenge is finding the training for what you want. If you go search on the internet today, there is hundreds of training courses on how to get your FAA Part 107 Remote Pilot Certificate. When it comes to training within specific industries, there are much less options. And, if you want training by a company who has actually been through it as a drone service provider and has worked in the different fields, it’s even more sparse. Luckily, here at Soaring Sky we are working on a solution to this problem. Over the next few months, we will be releasing both online webinar trainings and offering in person hands on training with training certificates for multiple market segments that we and our pilots have direct experience with. These fields will include Telecom Inspections, Precision Agriculture, News and Media Broadcasting, Construction Progress Reports, Insurance Adjustment Imagery and Analysis, Real Estate Photography, and Precision Surveying for aggregates and construction. Our goal is to help the hundreds of drone service providers explore new verticals and help expand the use of drones into more technical fields at a professional level. If you are interested in learning more, we are offering a 30% Pre-sale discount to anyone who signs up before we launch on 15 October!